The second half of November is truly one of the great times of year for horseplayers and lovers of thoroughbred handicapping. The table is set for a big end to November starting with a high-quality holiday weekend of horseracing this Thanksgiving. The season’s top tracks will all be serving up extra helpings of great racing with all the trimmings for the four-day weekend and beyond. Important and high-quality racing revolves mainly around three tracks — Del Mar, Churchill Downs and Aqueduct — through late November, which makes it easy for horseplayers to narrow down their focus to these three simulcast signals, perhaps in addition to other track(s) of your own personal preference. All three of these meets are scheduled to reach their climaxes in late November/early December, as they all roll out their remaining stakes and fill up their condition books with turf races before racing comes to an end and these circuits all get ready to transition to winter racing. The biggest name races taking place over the next couple weeks will include Aqueduct’s running of the $750,000 Cigar Mile (GI) on Saturday, Dec. 1, and the running of the $500,000 Clark Handicap (GI) at Churchill Downs on Friday, Nov. 23. In addition to the Clark Handicap and the Cigar Mile, there are many other stakes races scheduled for the Thanksgiving holiday weekend at Aqueduct, Churchill Downs and Del Mar. The Aqueduct, Del Mar and Churchill Downs fall meets are in the midst of good seasons and all offer horseplayers great options during the month of November. Yep, there is great betting action still going on at this time of year — and the icing on the cake will be taking place over the long Thanksgiving holiday weekend. 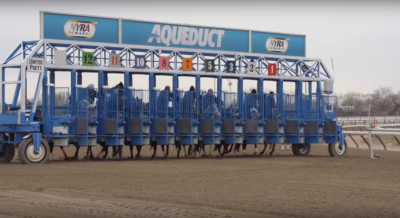 There have been some good trends for handicappers to take note of at the current big fall meets. As mentioned, Churchill Downs is getting ready to close at the end of Thanksgiving weekend. Here is a more detailed look at some tips and factors that could help you win in the final week before the fall meet at Churchill comes to an end. Churchill Downs offers high-quality traditional dirt track racing ideal for handicappers. Both of Churchill Downs’ racing surfaces, the main track and the turf course, are unique surfaces that have quirks which are important for handicappers to understand. The Churchill Downs dirt course is generally regarded as a “cuppy” surface at times, meaning that the track does not retain enough moisture in it to hold the sand together. This causes the track to break away from under horses’ feet, resulting in footing that some horses love and others hate. This factor makes a horse’s past performances at Churchill Downs very important and makes Churchill Downs one of the tracks where the horses-for-the-course angle means the most. As a Churchill handicapper, you must make yourself acutely aware of any inside/outside biases happening at any given meet — and you must pay attention to the rail path in particular, because the Churchill Downs rail seems particularly susceptible to track biases. Right now, most Churchill contenders are exiting races from earlier in the fall meet or are exiting races from Keeneland in their last starts. Generally, these horses will have an advantage over horses coming from places like Indiana Downs and Belterra Park, but shippers do occasionally come from those circuits and pay big prices at Chruchill. Due to the cuppiness of Churchill’s dirt surface, the track is more likely to be faster and more conducive to speed in the summer when temperatures and humidity are higher. At the fall meet, Churchill’s main track generally plays slower than it does during the spring and summer. The cooler the weather turns, the less likelihood of speed-favoring conditions or a lightning-fast track. This means that horses exiting big front-running efforts at Keeneland should be downgraded a bit at Churchill. Conversely, late-closing horses that didn’t have a good chance to rally at Keeneland should be upgraded at Churchill now, because, perhaps, they will run better than their recent running lines at Keeneland suggest. This is especially true if you see that the horse owns a prior win (or wins) at Churchill Downs, particularly during this or any past fall meet. 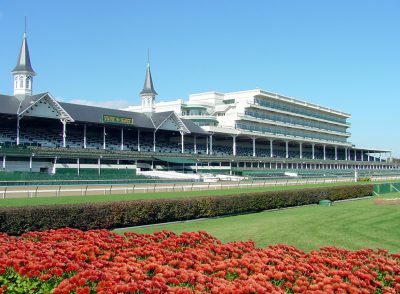 The Churchill Downs turf course is sand-based in order to promote good drainage, and it is this composition that makes the turf course different from most other turf courses, with the exceptions of perhaps Keeneland and Fair Grounds. Chances are if a horse has recently run well on the turf at Keeneland, the horse’s turf form will be much more reliable than horses shipping to Churchill from other places. The Churchill turf, just like the dirt, is another place where you’ll want to heavily weight a horse’s past performances on the home track, because the horses-for-the-course angle is such a valuable commodity. Churchill Downs’ turf course is generally fair to horses breaking from all post positions no further out than post eight. Posts further out than post eight are at a bit of a disadvantage. The main turf distance affected by the post-position draw is one mile. Win percentages for outside posts commonly drop to an extremely poor average of 3-4 percent at that distance. Therefore, generally speaking, posts outside the eight-hole are not great, and can be downright disastrous in turf races run at one mile. Take note also that, at a mile, middle posts 4-7 have, in the past, had an average win rate of nearly 20 percent, making them clearly the best at that distance. In turf sprints at Churchill Downs, the inside six posts seem to enjoy an advantage, and any post outside those is at a disadvantage. This is in stark contrast to the turf sprint races run in New York at Belmont and Saratoga, and many other places, which tend to favor outside posts. In Churchill turf sprints, use the post position angle to your advantage in order to catch some prices. Like in New York, the Keeneland turf sprints also tend to favor outside and middle posts. When you see a horse entered in a Churchill turf sprint coming off a sub-par turf sprint effort from Keeneland, Belmont or Saratoga, give that horse an excuse if it broke from the rail, or perhaps any of the three inside posts in that last race. Chances are, the horse’s chance of winning was hurt by the inside draw, making it an overlay in a turf sprint at Churchill Downs. Beyond looking at post positions, the main thing you’ll want to take into account on the Churchill Downs’ lawn in route races is a horse’s running style. Churchill’s turf course favors mid-pack pace-pressers and stalkers over all other running styles. Early leaders generally have a difficult time going wire-to-wire on this turf course, and the deepest of closers have a tough time getting up in time to win. Just as with post positions, this analysis is especially true in one-mile turf races, where early speed horses win less than nine percent of the time and closers coming from further than 10 lengths out of it rarely ever win. The ideal winning profile on the Churchill turf is a stalker that runs about four lengths off the pace at the first call (half-mile), and 2 1/2 lengths behind at the second call (6-furlong mark). Whether you will be concentrating on Aqueduct, Churchill or Del Mar — or all three — during the next two weeks, you will be in store for some great late fall horseracing and wagering action. It is fall racing’s last hurrah, so don’t miss it. 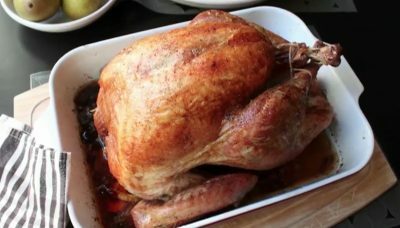 Best of luck and have a happy Thanksgiving!